Benny A. Howard, cowboy at heart, rode his horse through the gates of Heaven on Thursday, April 12, 2018 surrounded by family. Benny was born in Owensboro on December 17, 1950 to the late Ansel and Faye Haney Howard. 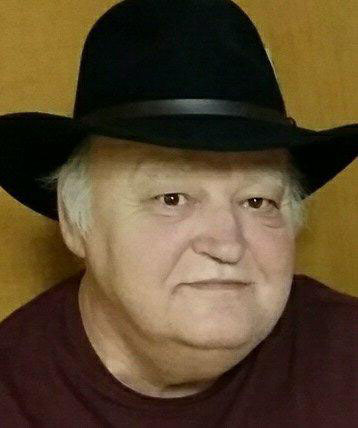 Benny was a member of Hilldale United Methodist Church and was an Entrepreneur. He owned and operated a variety of successful business’s Pizza Garden, Skate World, 4-way Bakery, Ben’s Janitorial Services, Bennieo’s Italian Foods, Hornet’s Nest pizza Parlor and A & B Carriage INC. He served our county as an EMT and as a Lewisport Police Officer. Benny loved making People laugh, practical jokes, cooking and feeding people, old fashioned western films and television shows. Benny was once buried alive for 6 days as a fundraiser for American Heart Association. Survivors include his daughters, April Bryant (Michael) and Valarie Fullenwider (Jarred); 7 grandchildren, Taylor Bryant, Haley Bryant, Courtney Ferry, Evan Ferry, Brody Fullenwider, Chris Fullenwider, Sara Fullenwider; 2 great grandchildren, Maci and Brantley; Kevin, Jimmy, Eva and Marybeth also called him Papa; a sister, Alice Fallin (Bobby); a special cousin Bernita Ferry along with several nieces, nephews and cousins. Services will be held at 11 am on Monday April 16, 2018 at Gibson & Son Funeral Home, Lewisport with burial following in Lewisport Cemetery. Visitation will be held from 2 pm until 7 pm on Sunday and Monday from 9 am until service time at the funeral home.